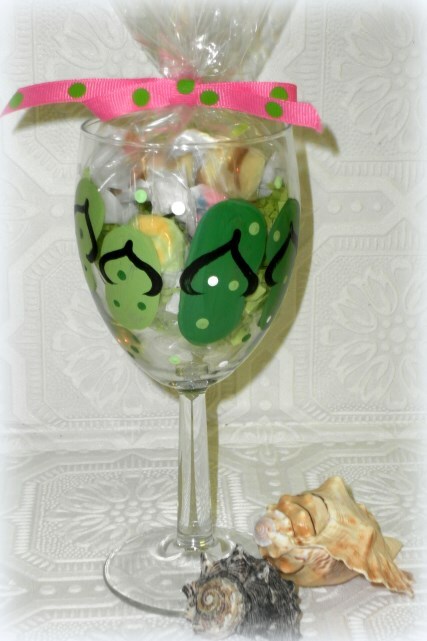 Lisa’s Custom Painted Candy Filled Flip Flop Wine Glasses make wonderful gifts! 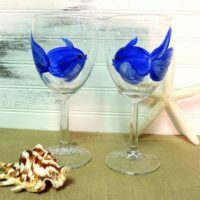 Each custom painted wine glass measures 7″ tall and is filled with delicious salt water taffy. 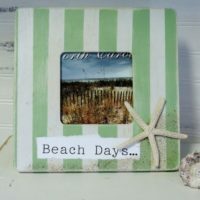 These glasses make great Birthday, Bridal Shower, Wedding or Housewarming Gifts. They can be personalized for free! Custom color requests happily taken. 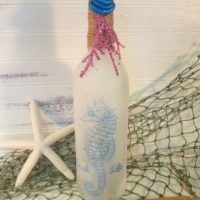 This seahorse inspired decorative glass beach bottle has been sprinkled in glitter and seaside splendor! 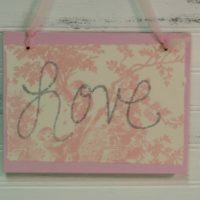 Display it on a table, shelf or give it as a gift.